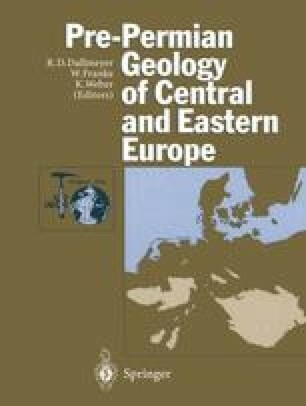 Pre-Variscan igneous activity in the Western Sudetes is recorded mainly as (1) mutually coexisting orthogneisses and granites within medium and high-grade metamorphic complexes; and (2) basic and bimodal volcanic series within poorly dated?Proterozoic-Paleozoic metamorphic sequences, or within less metamorphosed and better documented Paleozoic successions (cf. Fig. 1 in Chap. VI.A). At present it is difficult to integrate information from different parts of the Sudetic mosaic into one model of the pre-Variscan magmatism for this region. Large-scale lateral displacements may have occurred, and so different elements of the mosaic have significantly different histories (Don 1990).